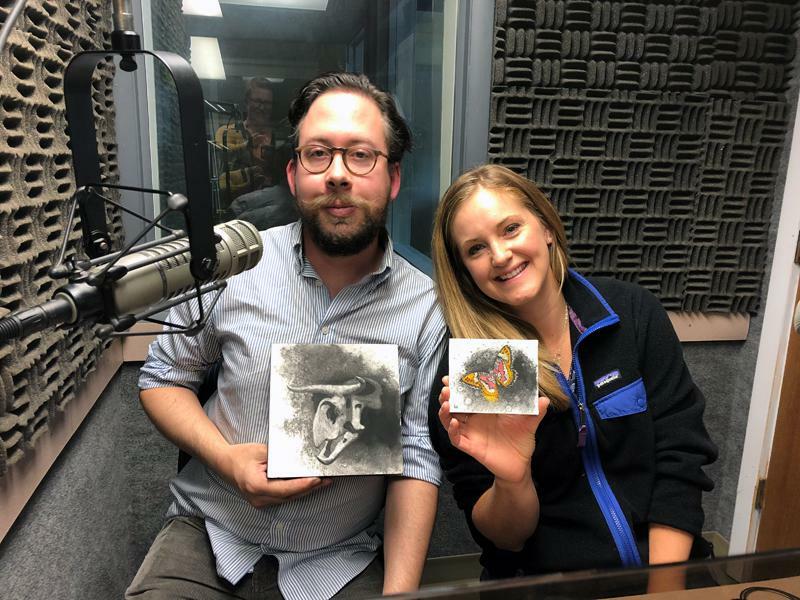 His most recent show, "Lepidoptera Ceratopsidae," is on display through Nov. 30 at The Emerson: Center for Arts and Culture's Jessie Wilber Gallery and Lobby Gallery in Bozeman. The exhibit is composed of charcoal drawings of 70+ art pieces, including Ceratopsian dinosaur skulls and different species of Ceratopsian dinosaur heads fleshed out, charcoal and watercolor butterfly drawings, as well as "Vera," a life-sized Triceratops sculpture. Throughout the process of his work, Habeck befriended Marian Lyman Kirst, who also grew up in Billings and has a similar interest in insects. Marian attended Hamilton College in upstate New York for her undergraduate degree in Environmental Studies and later attended Boston University's Science and Medical Journalism program, from which she graduated in 2010 with a master's degree in science journalism. She worked as an editorial fellow and freelance writer and is currently finishing up a master's degree in entomology through the University of Florida, a distance program she began while living abroad in rural China. What little free time she has these days she spends collecting and identifying insects for a reference collection of south-central Montana insects and volunteering at the Montana Audubon Center, where she helps develop and organize invertebrate-focused programs and activities.